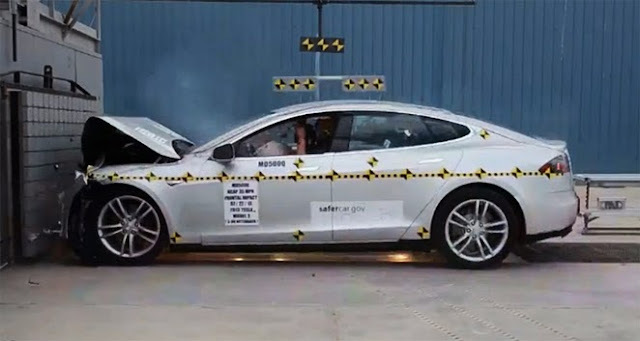 Independent testing by the National Highway Traffic Safety Administration (NHTSA) has awarded the Tesla Model S a 5-star safety rating, not just overall, but in every subcategory without exception. 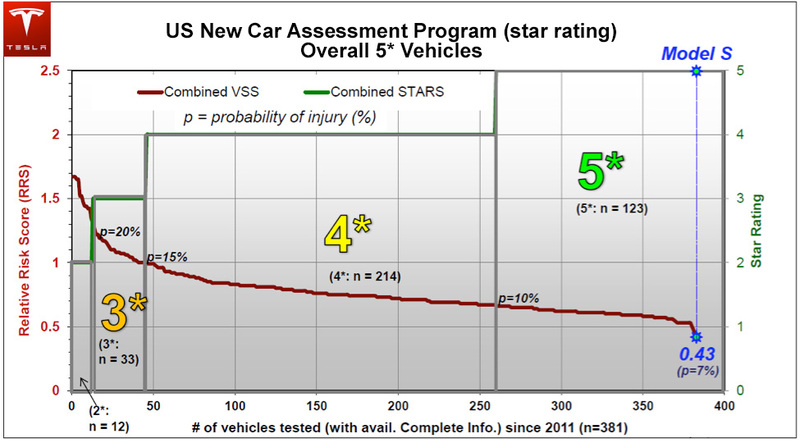 Approximately one percent of all cars tested by the federal government achieve 5 stars across the board. 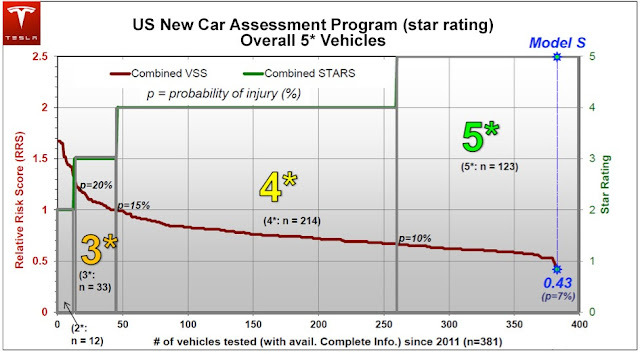 NHTSA does not publish a star rating above 5, however safety levels better than 5 stars are captured in the overall Vehicle Safety Score (VSS) provided to manufacturers, where the Model S achieved a new combined record of 5.4 stars. 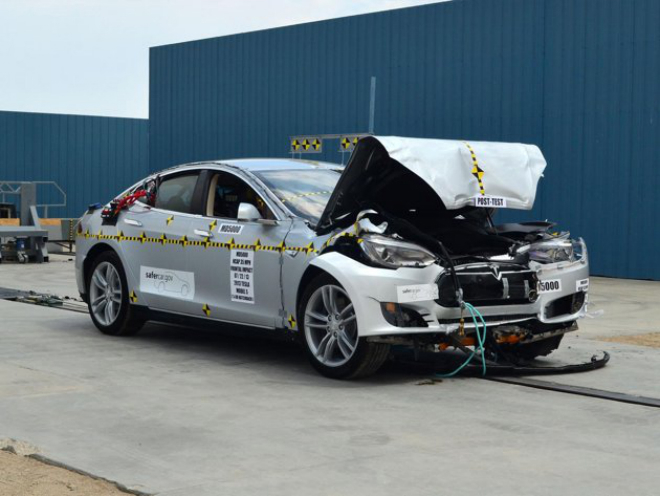 Of all vehicles tested, including every major make and model approved for sale in the United States, the Model S set a new record for the lowest likelihood of injury to occupants. While the Model S is a sedan, it also exceeded the safety score of all SUVs and minivans. 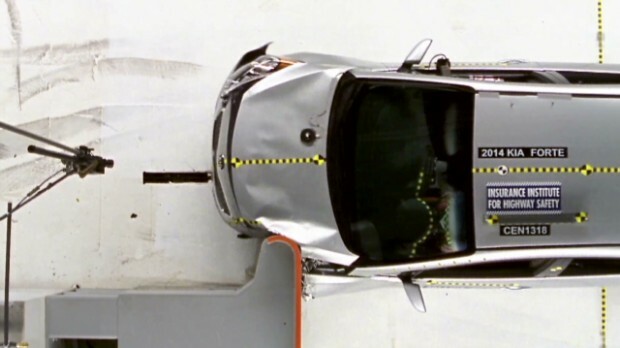 This score takes into account the probability of injury from front, side, rear and rollover accidents. 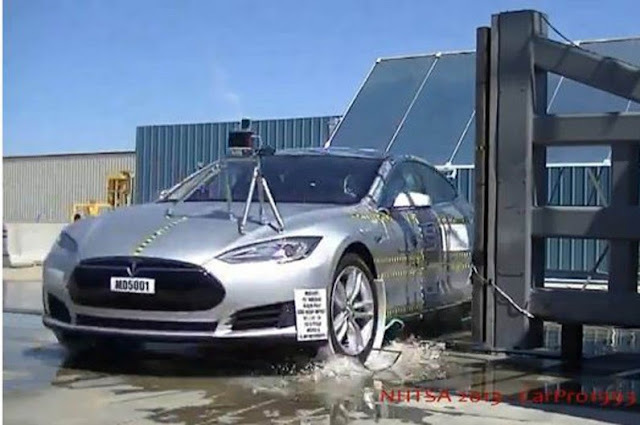 The graphic below shows the statistical Relative Risk Score (RRS) of Model S compared with all other vehicles tested against the exceptionally difficult NHTSA 2011 standards. 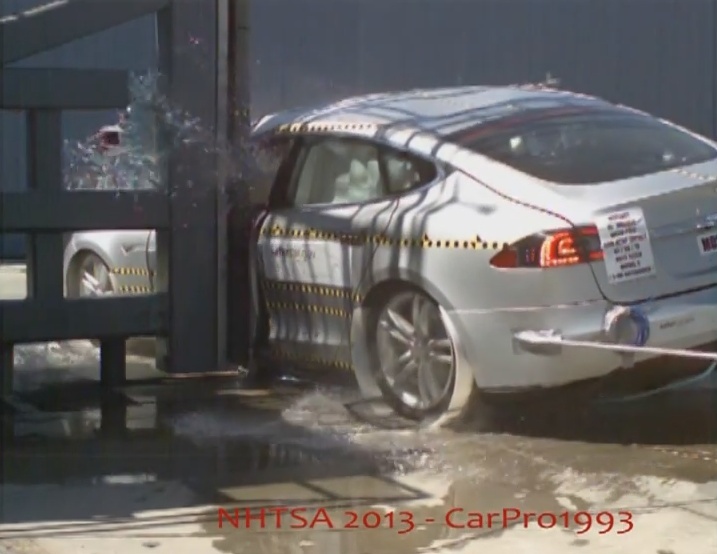 In 2011, the standards were revised upward to make it more difficult to achieve a high safety rating.